Royal Mail staff have voted "overwhelmingly" in favour of strike action, with a union not ruling out the prospect of national walkouts in the run-up to Christmas. The Communication Workers Union (CWU) said a ballot of 110,000 staff had a turnout of 73% - with 89% of voters backing industrial action. Any strike would represent the first at Royal Mail since its controversial privatisation four years ago. The CWU said its next move will be decided at a meeting later this week, but insisted the vote indicated a clear feeling among members that Royal Mail bosses should step aside because they no longer have the trust of front line staff. 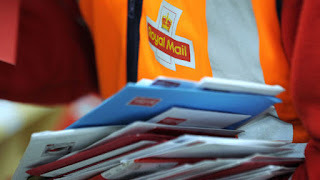 The dispute surrounds the closure of Royal Mail's final salary pension scheme to new entrants, the terms of a replacement scheme, and also rows over pay and delivery office closures. The CWU says its list of gripes with the company are all linked to the privatisation - accusing bosses of cost cutting and asset stripping to satisfy shareholders.